While many countries, for example in Western Europe, are focusing on wind power to increase the share of renewable energy, Iceland has not yet constructed a single operating wind farm. The reason is simple: Icelandic energy firms have always had the privilege of being able to harness abundant low-cost geothermal- and hydropower options. However, Iceland may be a perfect setting for extensive utilization of wind energy. Iceland is a windy country. 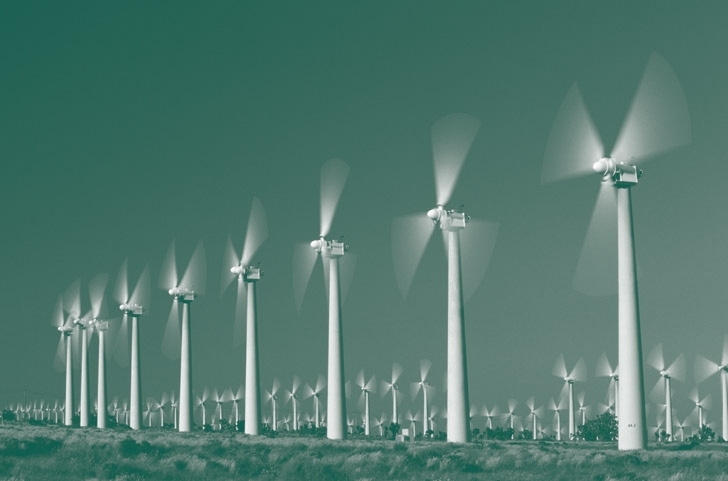 According to early research by the Icelandic National Power Company Landsvirkjun, wind farms in Iceland can be expected to be almost 100% more efficient than in Europe or USA. And due to low population density and extensive areas of land with few natural or manmade barriers, there is plenty of space for large wind parks. Large-scale wind power utilization in Iceland may be especially attractive in connection with a subsea electrical HVDC-cable between Iceland and Europe. Instead of constructing very expensive offshore wind farms outside the coast of countries like Denmark, Germany, Netherlands and United Kingdom, investing in wind power in Iceland may be both less costly and offer lower political thresholds. 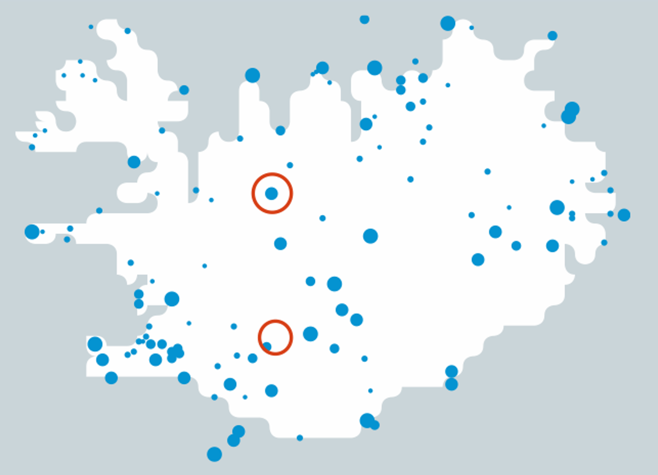 There are several areas in Iceland that may be good locations for wind farms. The map below is from a presentation by Landsvirkjun, showing some of the most interesting sites. Currently, Landsvirkjun is preparing the construction of two wind turbines close to one of its hydropower stations in the river of Þjórsá in southern Iceland. These will be the first large wind turbines in Iceland. This will be an interesting experiment, offering valuable information on the feasibility of wind power in Iceland. Operation and maintenance cost will to be studied along with availability-percentage of the turbines in the windy and sometimes harsh Icelandic nature. Landsvirkjun is also participating in a Nordic research project Icewind, which will include the production of icing atlas for Sweden and Iceland based on long term meteorological statistics. The Risø Research Institute, Denmark, heads the project in which corporations and scientists from Denmark, Finland, Iceland, Norway and Sweden take part. Besides Landsvirkjun, other project participants from Iceland are the Icelandic Meteorological Office and the University of Iceland, with the Icelandic TSO Landsnet also joining as a collaborator. The project formally began in 2010 and is expected to end in 2014. You can find information about wind energy potentials in Iceland on our wind page.